The UFC wanted a big splash at UFC 200, so the promotion enlisted help from perhaps its most massive star in Brock Lesnar. That seems to be the prevailing narrative. It didn’t go quite like that, though, according to Lesnar. The former UFC heavyweight champion told his WWE on-air advocate and longtime friend Paul Heyman that he was the one who picked up the phone and called UFC president Dana White. Not vice versa. Lesnar, 38, retired from the UFC in 2011 after an incredible three-year run. He had multiple bouts with diverticulitis and lost his last two bouts to Cain Velasquez and Alistair Overeem. “The Beast” said he just wasn’t himself due to the disease. 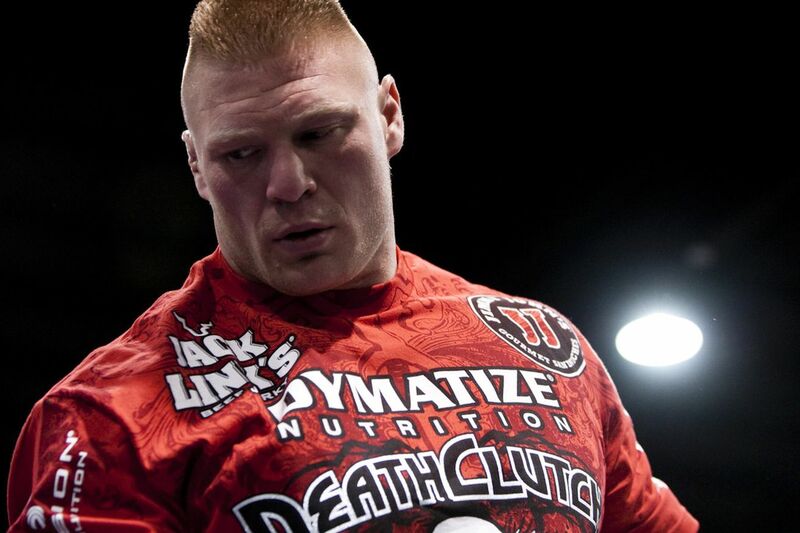 “I ended up getting beat by foes that in my mindset I should have never lost to,” Lesnar said. “I lost to diverticulitis. I lost to Cain Velasquez. I lost to Alistair Overeem. I’m not here to avenge any loss other than to avenge the loss that I took to diverticulitis. I just want it. RIZIN live stream video, real-time results from Japan for Mirko Cro Cop, Kron Gracie, and more!